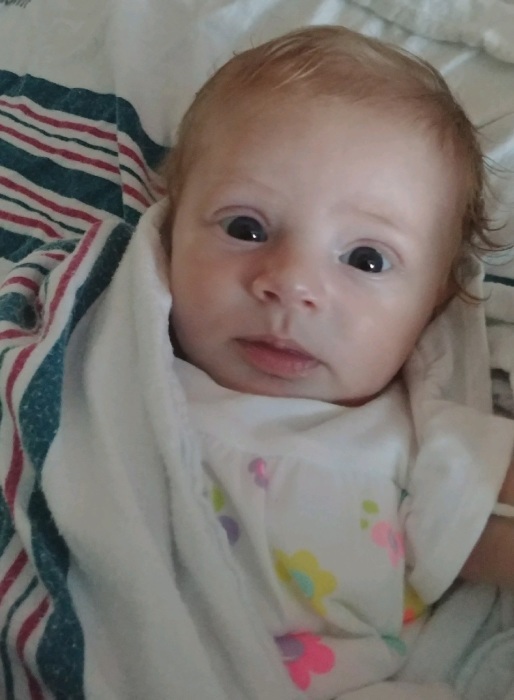 Infant, Kristen Danielle Amari Hamilton age 4 months of Celina, TN passed away on Thursday, October 11, 2018 at Vanderbilt Children’s Hospital in Nashville, TN. Funeral Services will be held at 2:00 p.m., Sunday, October 14, 2018 at the Upton-Hay Funeral Home with Willie Kerr and Bobby Bartlett officiating and interment to follow in the Thompson-Webb Cemetery. Visitation with the family will be at the Upton-Hay Funeral Home on Saturday, October 13, 2018 from 12:00 p.m. until 9:00 p.m. and on Sunday, October 14, 2018 from 8:00 a.m. until the time of the service at the Upton-Hay Funeral Home. Kristen is survived by her parents, Calvin Hamilton and Patricia Spears of Celina, TN; grandmother Teresa Maxwell of Celina, TN; great grandmother Lena Bell Jennings of Celina, TN; 5 brothers, William Spears, Ethan Spears, Matthew Spears, Charles Ogelton, and Karrington Hamilton; 2 sisters, Jasmine Dial and Calvasha Steele; special uncle Oscar "Ollie" Page; uncle Dewayne Maxwell, as well as 2 more uncles and an aunt; very special cousin, Elana Sircy; special friends Jerry and Janet Poindexter and Michelle Jackson; as well as many other family members who also mourn her passing.